Everyone knows I’m a beach person. I lived most of my life in California and when I wasn’t living in California I was living in Hawaii (I lived in Texas too, but I’m not counting that since I try to forget I lived there….no offense Texas people!). Spending every warm possible day I could on the beach. Heck, we even got married on the beach in Mexico, so I can safely say the beach and I are BFF’s. You’ll notice I say I’m a “beach person”, and not an “ocean person.” The two are very different! The ocean gives me the heabie jeabies (spell check says I spelled that wrong…whatever). My mom loves telling the story about her and I snorkeling the calm beautiful waters of Hawaii, me always attached to her by a leash because it was basically the only way I would go in. If we get eaten by a shark or swept away at sea I felt better knowing that we both would. There’s something seriously wrong with me. When we went snorkeling on our honeymoon I secretly wished my mom got Greg and I a leash as a wedding present. I settled for death grip on his board shorts. He didn’t even mind so much. It must be love! 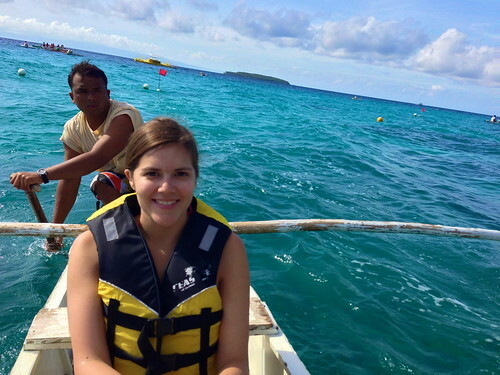 Then we came to the Philippines where the waters are the bluest I have ever seen and the warmest I have ever felt. The ocean is begging to be snorkeled, scuba’d, and swam in. Not to mention the intense heat that basically forces you to be in the water at all times. 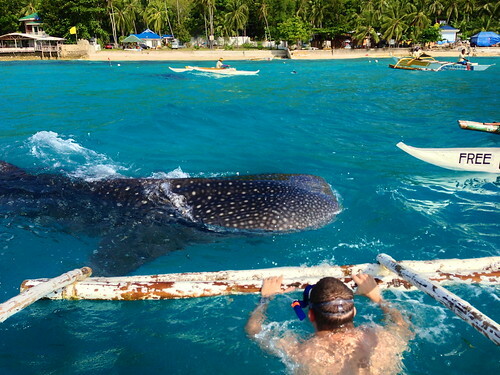 That’s right, we swam with whale sharks! In the ocean! 20 foot long SHARKS! Ok, ok, fine! When I say we I mean Greg swam with whale sharks while I sat in the teeny tiny boat (smaller than them boat) being his personal photographer. And I couldn’t have had a better time! See the smile! I made sure Greg took a picture of me on the boat so everyone knew I was there. We woke up at 3:45am to catch a 2 hour bus ride from Cebu City down to Oslob since apparently the whale sharks pass out after a morning of delicious krill mush so you gotta get there early to witness the buffet. Totally worth it! Especially since these sharks aren’t there the whole year and only come by for a few months of getting their grub on before they move on to warmer waters. So we were lucky to there and witness them for ourselves. Usually when you see a dark ominous shadow like that any normal human being (or any underwater creature with half a brain) would suddenly learn to run on water. These gentle giants wouldn’t harm a fly though, but if you happen to be krill you might want to get out of their way. Here’s a little video to help you get a better feel for just how cool these guys are. I know I should have gotten in the water, but I think the amount of under water screaming I would have been doing would have changed their dietary habits and they would have gobbled me up just to shut me up. So, really, it was for the benefit of us all that I did not go in. Greg loved it though! He wont admit it, but I think he was a little scared at first. But once they swam by a few times he was having the time of his life. One of the gentle giants even gave Greg a high-5 with his tail. 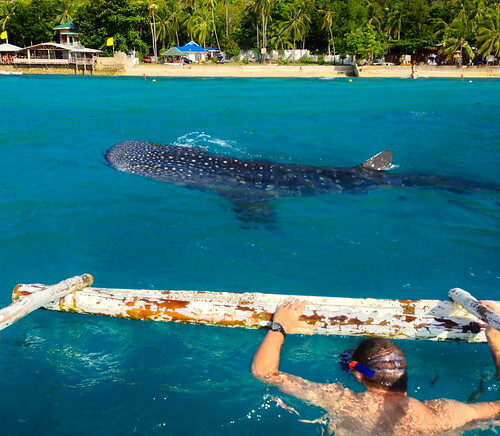 Sadly, our whale shark adventure came to an end. 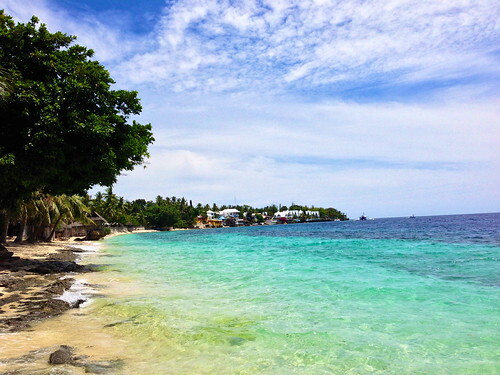 No worries though, because we found Tingko Beach to wash away our sorrows. It was our first of many ocean encounters on this trip, and you’ll be happy to hear that since then I have become less of an ocean scaredy cat. 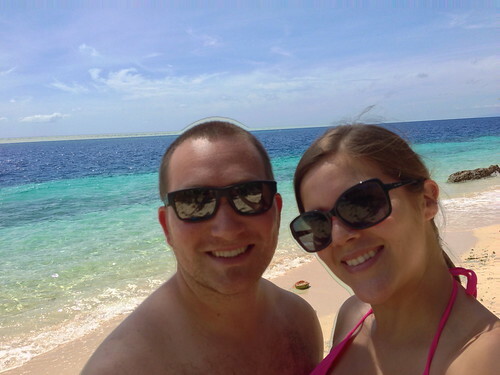 We have snorkeled (unleashed), cliff dived into the ocean, and swam our little hearts out. All with barely any screaming on my part. LOL Debbie you are too funny. All I can say is ‘wow’ that water gorgeous. Keep having fun and sharing!! 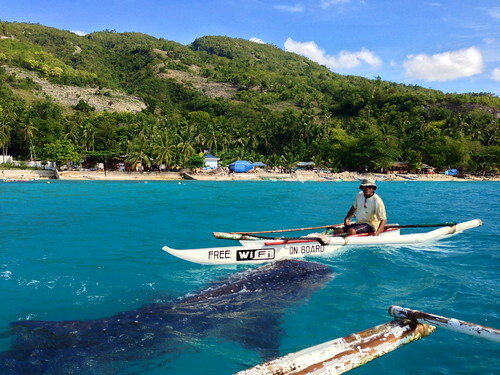 what gorgeous creatures – i mean the whales. although you guys are fabulous too. 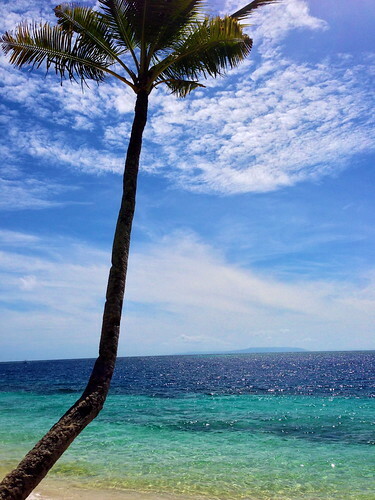 thank you for sharing paradise! 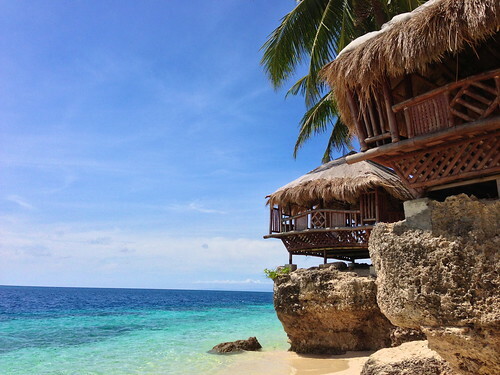 The water in the Philippines is insanely gorgeous! Wow, that is amazing! I am so jealous! Hi, by the way! I came here from a comment you left on terra-bear.com. Hi Robyn! Thanks for stopping by! The whale sharks seriously were aaaaaaaaaaamazing! SO COOL. Also, I think I would have been afraid to get in the water too, just because SHARK. 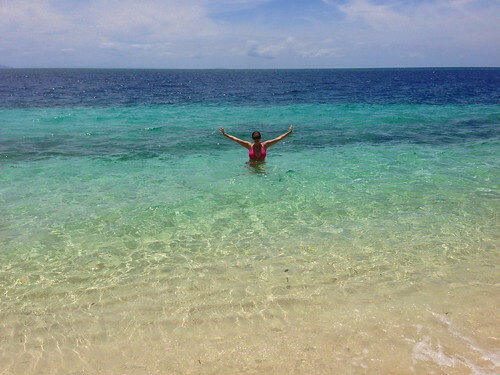 Also, it’s all so beautiful – there are few things more amazing than the incredible blues of warm ocean water. Awesome pics! 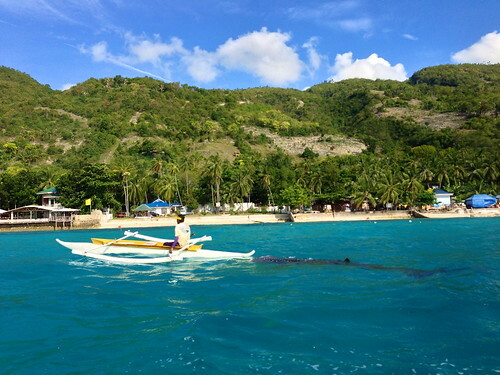 Great Oslob, Cebu adventure!! It was so much fun! Miss it already!